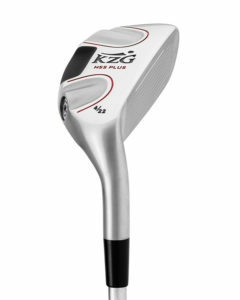 KZG GF-H Hybrid is designed for the competitive player and features two screw portals with seven weight options is the ultimate in customization. The GF-H is designed for the competitive player and features two screw portals with seven weight options… the ultimate in customization. The GF-H is engineered to allow the greatest amount of workability and feel. 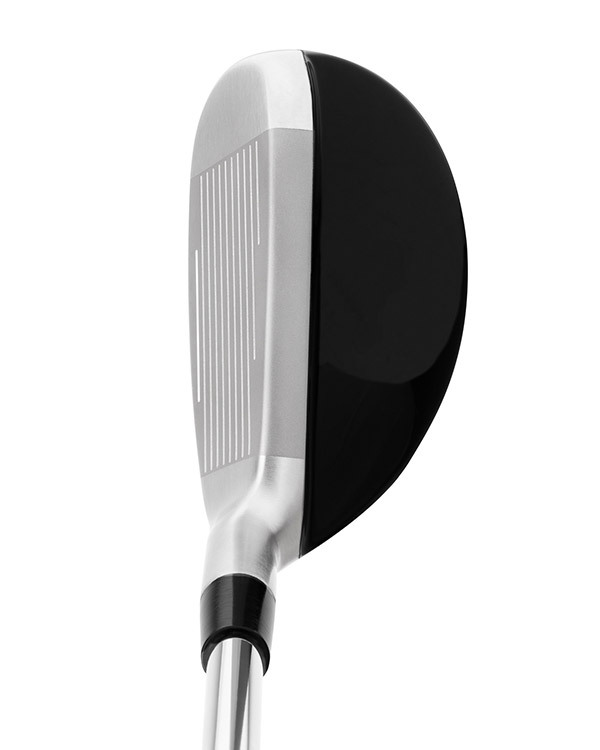 The maraging face insert creates maximum rebound energy for increased distance. 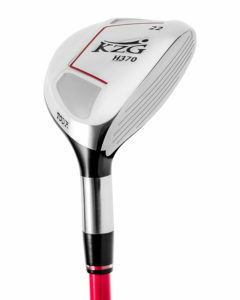 The mid size head, minimal offset and thinned top line will seamlessly transition with KZG’s wide selection of forged or cast irons. 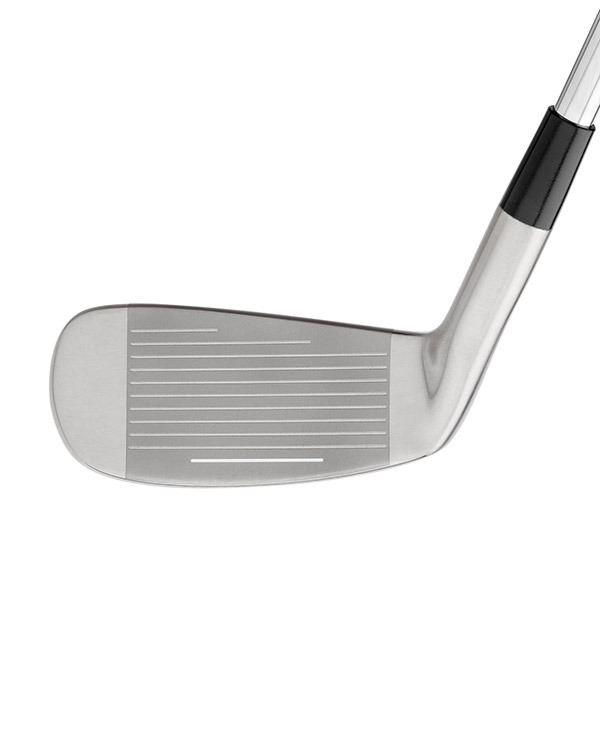 Additionally, the 26 degree model contains conforming USGA “V” grooves for tournament play. The GF screw weight technology enables a professional fitter to customize for fade/draw bias, swing weight, spin rate, trajectory and center of gravity. 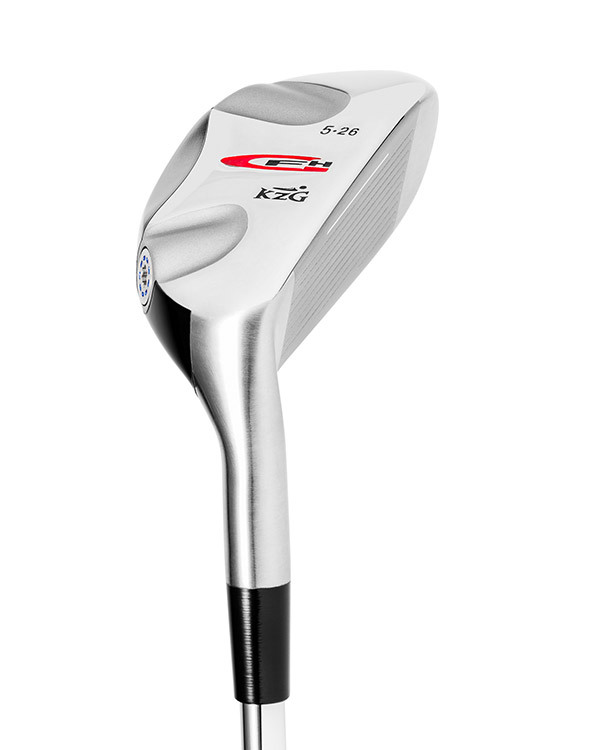 The GF-H is the ideal hybrid for avid players looking to purchase or replace their 3 and 4 iron golf clubs.